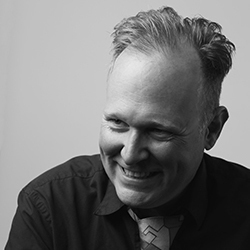 Los Angeles director, composer and conductor Sean Griffin is the director of Opera Povera, an interdisciplinary consortium devoted to the creation and performance of new operatic, musical, performance and exhibition projects. Griffin has been a resident fellow at Yaddo, MacDowell, EMPAC, and the University of Chicago’s Gray Center for Arts and Inquiry. Composer and musicologist, George Lewis, composer and director of Opera Povera, Sean Griffin, and film and theater artist, Catherine Sullivan (University of Chicago, Department of Visual Arts), embark on the creation of an opera, film and related presentations based on the final chapter of Lewis’ award-winning 2008 book A Power Stronger Than Itself: the AACM and American Experimental Music. 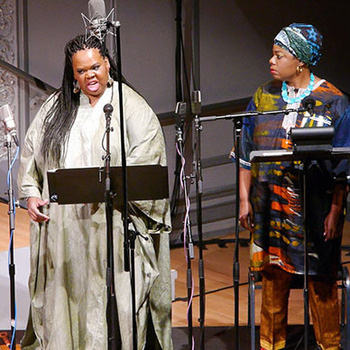 Afterword, the multimedia opera being created by Mellon Fellows George Lewis, Sean Griffin and Catherine Sullivan is featured in the current issue of Downbeat. Mellon fellows George Lewis, Catherine Sullivan, and Sean Griffin have joined forces with the trail-blazing new music group, the International Contemporary Ensemble (ICE), to fashion a multimedia opera that functions not as a history of the AACM, but as a “Bildungsoper”--a coming-of age opera of ideas, positionality, and testament. 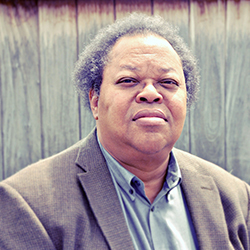 Composer George Lewis reflects on Afterword, an Opera as a “Bildungsoper”—a coming-of-age opera of ideas and testament—whose libretto he drew from his 2008 book, A Power Stronger Than Itself: The AACM and American Experimental Music (University of Chicago Press).